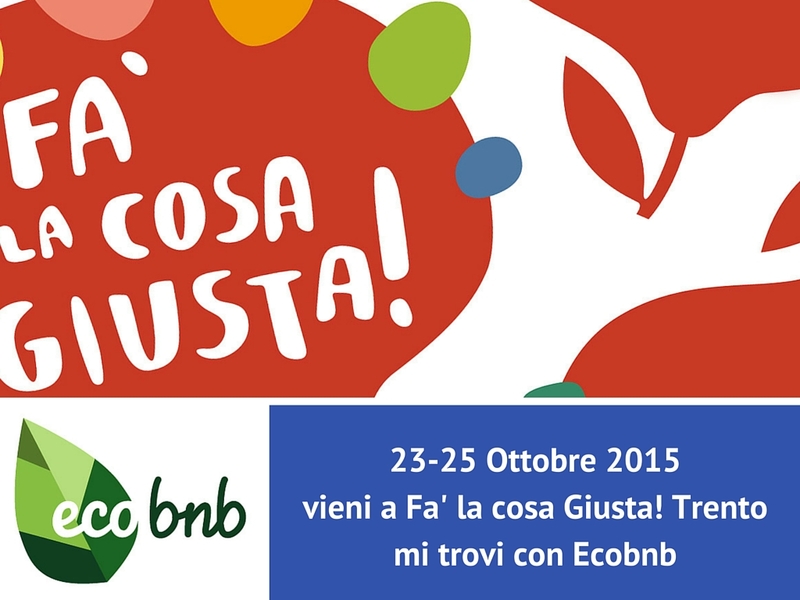 This year we will participate with EcoBnB at the The Right Thing: the fair of critical consumption and sustainable lifestyles. In Trento 23/25 October 2015. An opportunity to meet and then get to know companies, projects and good administrative practice, which in the local area, but not only, are building a more attentive to people and the environment. Learn more about our commitment to sustainable tourism and eco-friendly farm holidays!